Does your jaw consistently feel stiff? Does it hurt to talk or chew? Do you frequently get headaches or earaches that over-the-counter medication can’t help? If so, you might be suffering from strained temporomandibular joints (TMJ), which are the small hinges on your jaw located in front of your ears. They normally allow you to speak and eat comfortably, but like other joints in the body, they can become strained and injured. 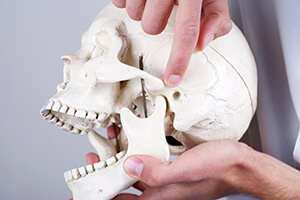 Dr. Joy Todd and our team will always examine your TMJ when you come in for a routine checkup, and if we find anything, we can help you get treatment right here. If you’re suffering from any of the symptoms we just mentioned, be sure to contact our office today. Your teeth are part of a delicate system that includes your mouth, jaw, neck, and facial muscles. If you develop something called a TMD (temporomandibular joint disorder), it can throw this entire system off balance and cause a variety of problems including stiffness, soreness, and chronic pain. When you come in for a routine checkup, we’ll look at your TMJ and make sure you have a completely comfortable and functional range of motion. If you have any kind of problem, you fortunately don’t have to go see a specialist-- we can offer you treatments right here in our office. Often, just a few minor adjustments to your teeth or the use of a mouthguard at night can make all the difference. Our approach to treatment is extremely conservative and non-invasive compared to other methods, especially jaw surgery. At our office, we always strive to give you the best results via the smoothest path possible. 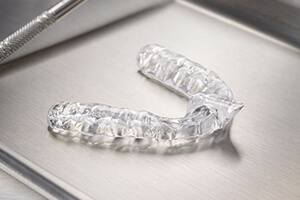 An equilibration/occlusal adjustment is a minor procedure where we will slightly reshape your teeth so that they come together in a more functional manner. 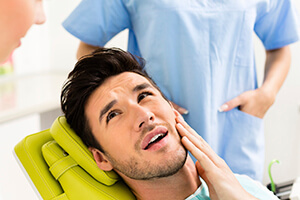 When you close your mouth, sometimes certain portions of your teeth can be put under extreme pressure, and this can stimulate the nerve in the socket and cause quite a bit of pain. We’ll take an impression of your teeth to find these trouble spots and gently buff them away so that this doesn’t happen. The jaw can become slightly misaligned for a number of reasons, and this can lead to limited function and even unconscious teeth grinding (bruxism). To help correct this kind of issue, we can provide you with a small mouthpiece called an occlusal splint. It helps put your jaw into a more natural position, and you will only wear it to bed. Over time, your jaw will begin to naturally assume this new position so you’ll be without pain or dysfunction in the future.